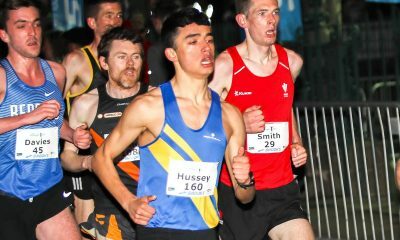 One of GB’s most versatile and relatable athletes talks about his love of domestic racing, financial issues in elite athletics and learning to accept his body’s limitations post-injury. Celebrated amongst the country’s grassroots running fraternity for his regular appearances on the domestic racing circuit and for his approachable, ‘every man’ propensities, he is sure to enjoy plenty of home support when he runs his debut marathon in London this spring. 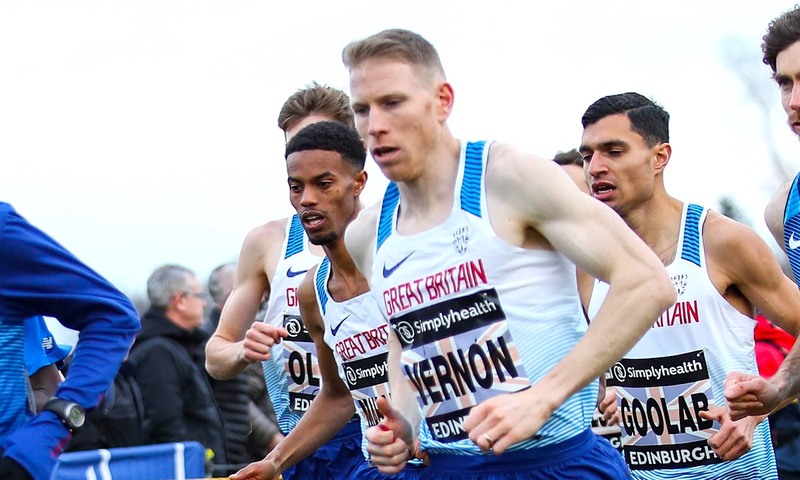 Vernon has been running at the top of his game, and most of the UK’s too, for more than a decade, winning medals at European and world level on both the country and track. In recent years, the 33 year-old Aldershot, Farnham & District star has begun to carve out an impressive career on the roads. A 13:40 5k back in 2014 indicated great things to come for the On Running-sponsored athlete, but it is only this year where he has turned his main focus to the tarmac. Perhaps boosted by fine road performances last autumn – again on home turf – Vernon is undoubtably a strong contender for a domestic medal in London. It would be an unwise man or woman, however, who bets on a marathon debutant! The 2016 Olympian enjoyed a familiar battle on the streets of Portsmouth with club mate and longtime friend Chris Thompson at 2018’s Great South Run, running a very useful 47:29 PB. 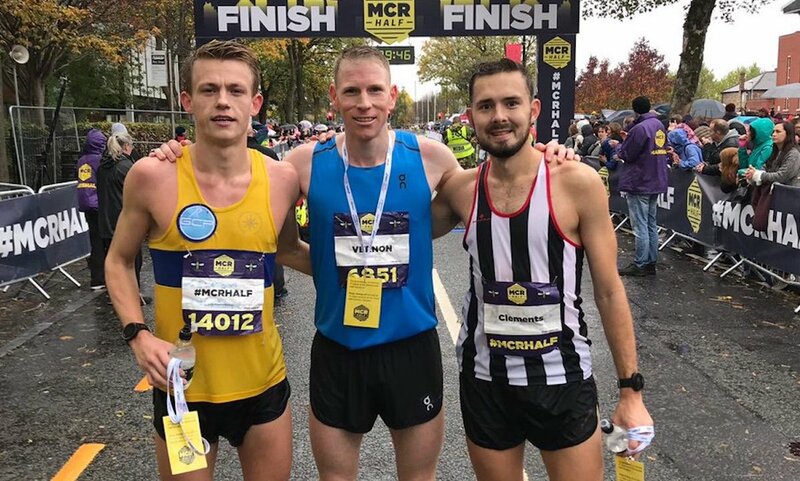 That came just a week after scoring a mental and physical victory against the weather along with the rest of the field at a stormy Manchester Half Marathon, running 63:36. Now he hopes he can convert his world-class performances on the track and country to the marathon. What is it about the man known for his tenacious racing style and his thickset yet lean physique, that makes most domestic runners feel they know Vernon without ever having met him? He is a mainstay of the British cross country racing circuit, having made a name for himself on the toughest of terrains at the Southern and English National Championships in his younger years. 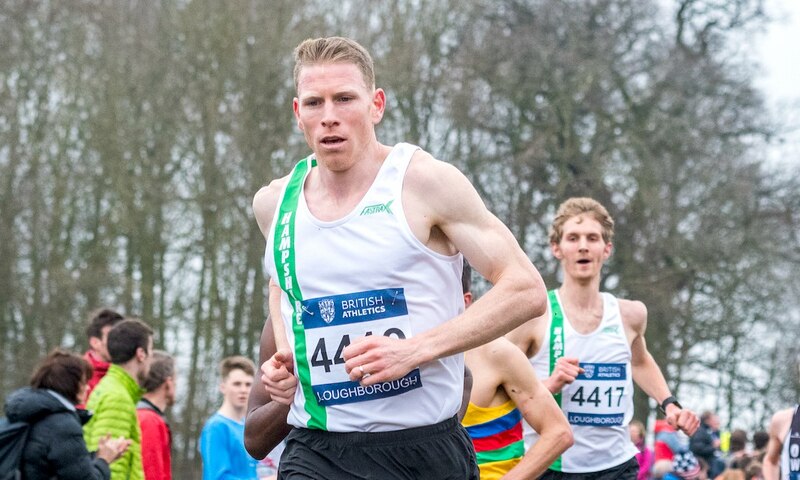 Vernon has competed in every British Athletics Cross Challenge series since 2007, along with a number of English National Cross Country Relays. Therefore it’s no surprise he feels like such a familiar face to runners of all standards on our isles. “I prefer British courses, and it helps that there’s less travelling so I can be back home that same evening,” he explains, a fact that carries heavier weight now he has become a dad to baby Arya. Building a successful career as a full-time professional runner is clearly no easy task, with the weekly grind of, in Vernon’s case, 100 plus miles, together with the significant requisite gym and injury prevention work being part and parcel of any international athlete’s life. But when those same runners are forced to race more often than perhaps is ideal in order to reach the next level because of the need to win prize money to sustain their lifestyle, that task becomes even harder. The aforementioned Cross Challenge series is one example of this, although competing at the sharp end of one of the most cut throat cross country circuits in the world would have done his progress no harm. “The prize money on offer in the Cross Challenge races is a huge bonus to me,” he reveals. “It’s a shame the national championships can’t follow their lead as I’m sure the organisers make a lot of money from the thousands of entries? “They would attract a far stronger field if there was a decent financial incentive. Just look at the American circuit – they have thousands of dollars on offer for every race distance from 5k to the marathon. Can’t we look at adopting a similar system in the UK? Vernon’s words are a stark reminder of the tough world he inhabits, where truly impactful sponsorship opportunities are thin on the ground for athletes trying to make world championships and even Olympic Games. 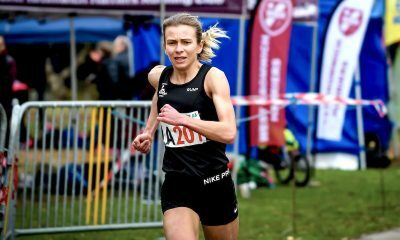 “I previously did combine part-time work as a nanny with running, but it was tricky to balance it with high mileage and racing all over the UK and sometimes abroad,” he explains. Vernon was instrumental in setting up ‘Athlete Mannies’, a nanny business in South West London now headed up by fellow runner Richard Goodman and former top 1500m athlete, Ben Coldray. “It fitted in really well around my training, meaning I could run in the morning, rest then pick children up at 3pm, look after them for the afternoon then run again at 7pm,” he reveals. Vernon is effusive in his thanks for the support he receives from sponsors On Running, which includes full kit and a wage to help him focus on his intensive training. Support of any kind is essential to athletes trying to compete with the best in the UK and the world on a regular basis, but that is particularly true when injury strikes. 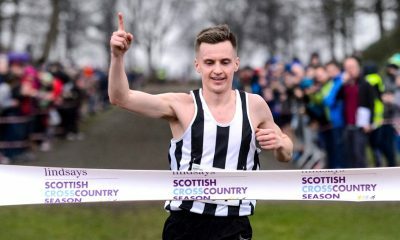 The GB cross country regular made a return to the mud at the Great Stirling XCountry in January, where he finished a below par 16th. Vernon reveals that he had been struggling with firstly an Achilles tendinopathy and then a hamstring tendinopathy, and thus his performance in Stirling came off the back of very limited training. “I have never raced off such a low level of fitness before, and it proved how difficult it is to compete at the top of your game when you’re not fully fit,” he explains. “I am clearly only human, I have to train very hard to get the results I do, it does not come easy. Thankfully, he seems to have put those injury woes behind him ahead of his marathon debut. What next for the man who has already competed in three Commonwealth Games, a World Indoors, six World Cross Country Championships and won three European cross country medals (bronze in 2013, an U23 silver in 2008 and an U23 bronze in 2007), not to mention two European track medals? “I am done with cross country for the season now, so it’s all about road racing in the build-up to London,” he reveals. “I need to find another race paying decent prize money before March, but then the main goal pre-marathon will be The Big Half, which really does look after British athletes. “It’s great how they offer British only prize money alongside the main prizes, which means that, if a British runner finishes in the top three, there will still be those top three British prizes to be won regardless. Keep an eye out for a follow up piece on Andy Vernon, where he talks about how his training will change as he prepares for his first marathon, his self-coached status and an average day in the life of a one-time Olympian hoping to return to the biggest athletics stage on earth in Tokyo in 18 months time.